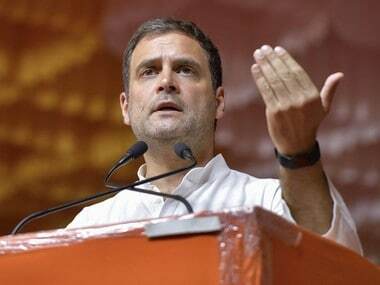 New Delhi: The BJP on Friday moved the Election Commission seeking action against Rahul Gandhi for his "abusive" and "completely untrue" comments against Prime Minister Narendra Modi, accusing the Congress president of attributing words to the Supreme Court in the Rafale case that it never said. 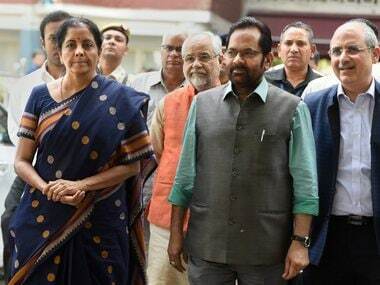 A BJP delegation, including Sitharaman, Union minister Mukhtar Abbas Naqvi and its media head Anil Baluni, submitted to the EC a memorandum in which the saffron party also accused the Trinamool Congress (TMC) of poll rigging in West Bengal during the first phase of polling of the general election on Thursday. Pointing to Gandhi's remarks on Wednesday that the apex court has acknowledged that the prime minister is a "thief" and that he gave Rs 30,000 crore to industrialist Anil Ambani, Naqvi said such "lies" and "baseless allegations" are not only violative of the model code of conduct, but also fall under "corrupt practices", as described in the Representation of People Act. 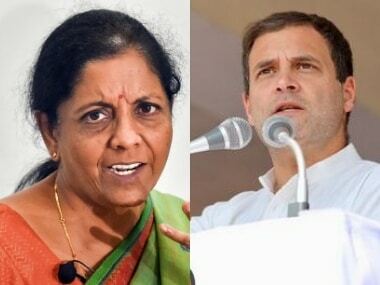 "Congress president Rahul Gandhi is using abusive and such strong statements which are totally untrue, calling repeatedly the prime minister a 'chor' (thief) and also putting words in the mouth of the Supreme Court," Sitharaman told reporters. 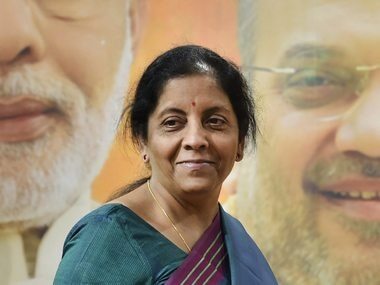 The apex court had Wednesday allowed leaked documents to be relied upon by petitioners, seeking review of its Rafale judgement and dismissed the government's preliminary objections claiming "privilege" over them. Gandhi had then claimed that the court has "accepted that Modi was a thief". Meanwhile, the party, in its memorandum to the poll panel, also complained of rigging and booth capturing by the insurgent group NSCN (IM) cadres in Naga dominated areas in Manipur. The party also complained of violence and booth rigging at Cooch Behar and Alipurduar constituencies in West Bengal, it also alleged that TMC cadre in various locations in these two constituencies did not allow electors to cast their votes.